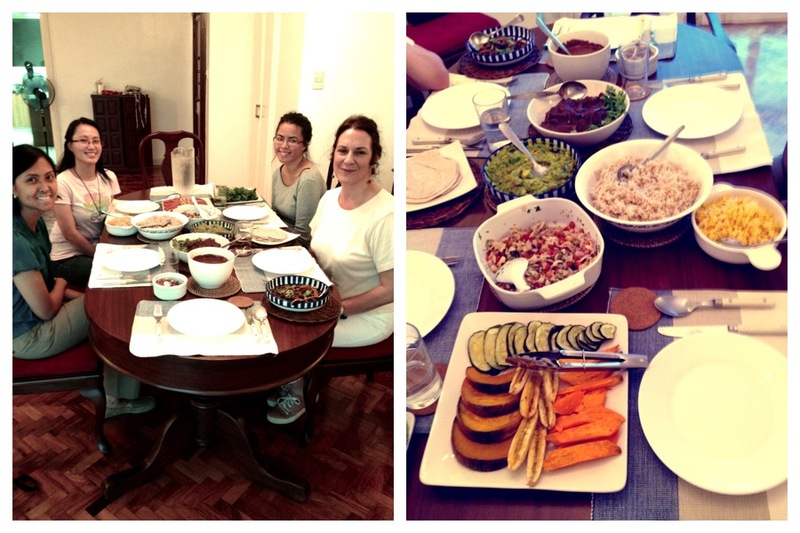 Rightmost photo, from bottom to top: lime roasted vegetables, oyster mushroom ceviche, guacamole, brown rice, fresh corn, chocolate-chile mole smothered tofu, more mole sauce, pico de gallo, black beans for the burrito. 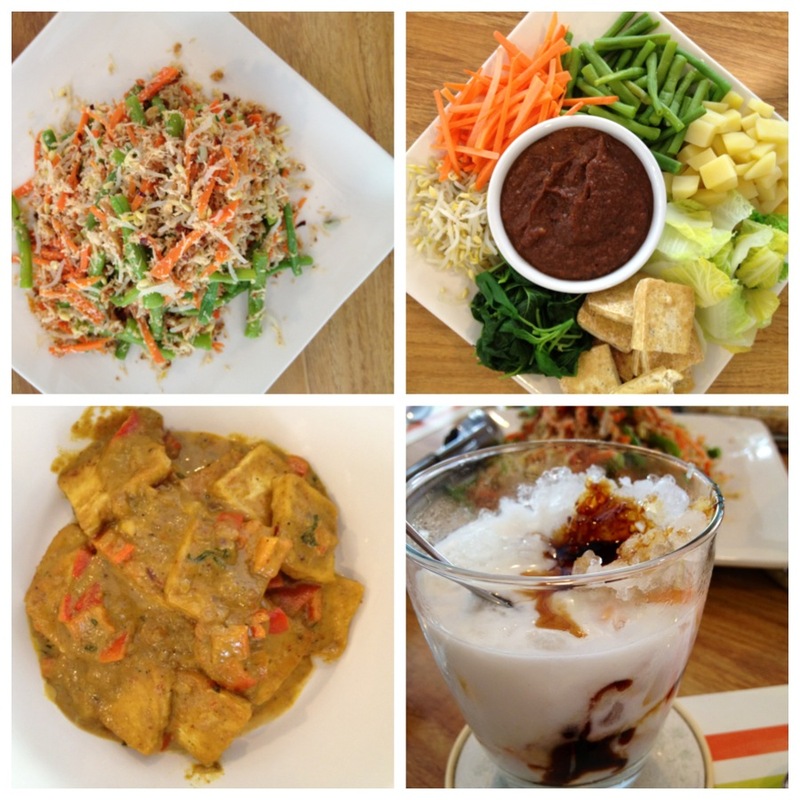 Clockwise from top left: sayur urab (Balinese mixed vegetables with grated coconut), gado gado (fresh vegetable salad with peanut sauce), es teller (fruit in coconut milk with palm syrup), sambal goreng tabu (tofu in sambal coconut sauce). 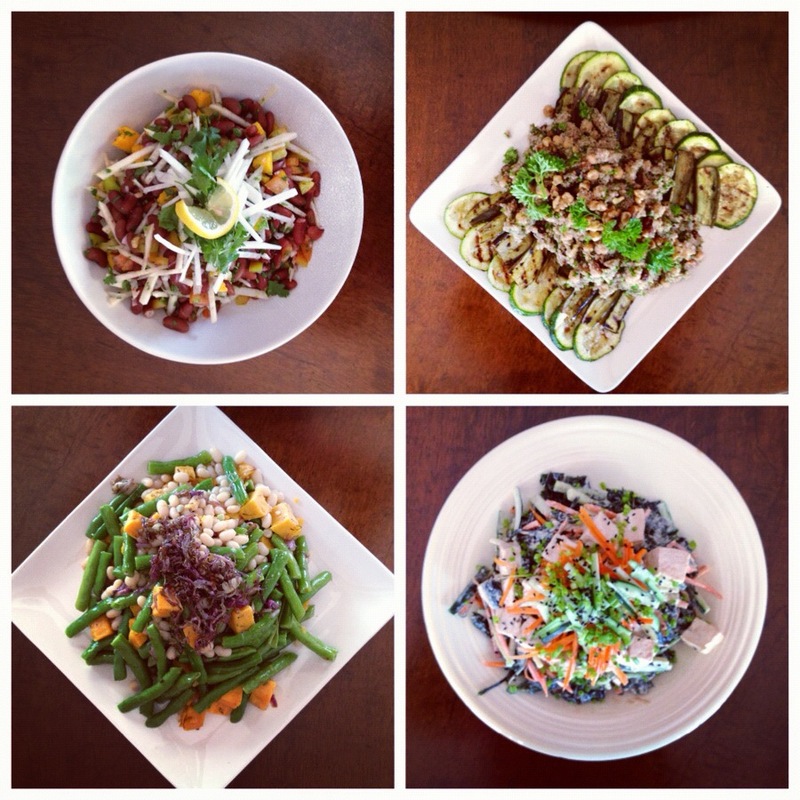 Clockwise from top left: mambo kidney bean chopped salad, Turkish-spiced chickpea quinoa salad, seaweed salad with avocado and tofu, mediterranean green bean salad with caramelized onions. 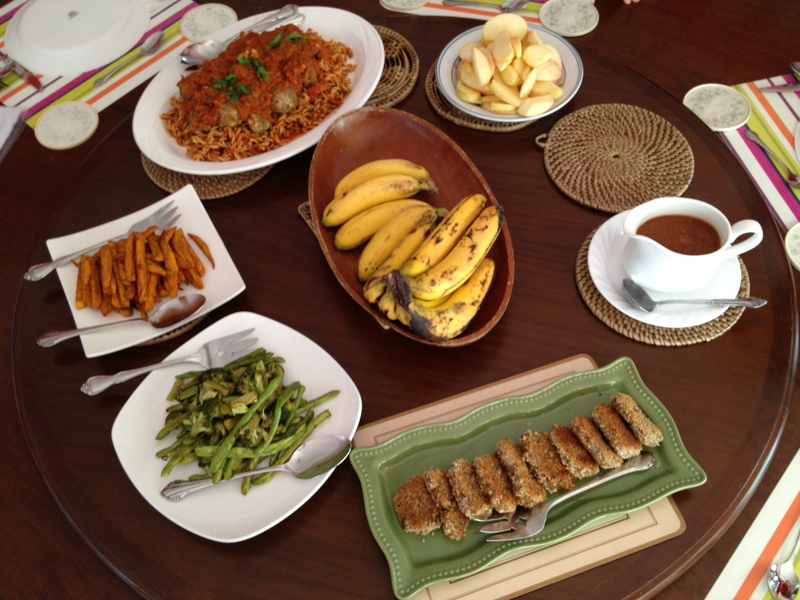 Menu: sausage and mushroom stuffed peppers, sausage and vegetable pot pies, spaghetti with sausage and tomato cream sauce. 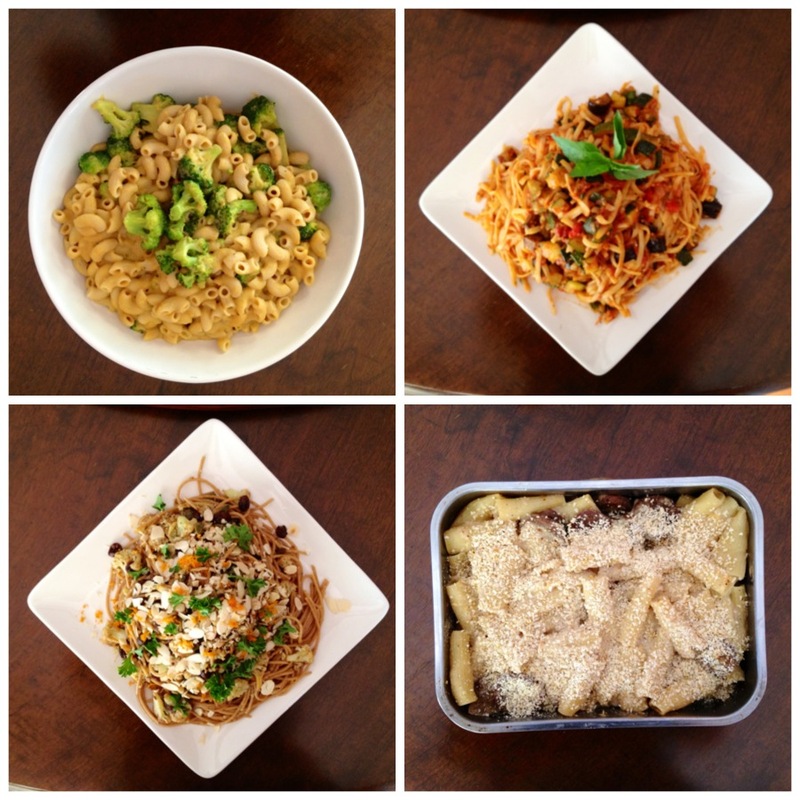 Clockwise from top left: broccoli mac and cheese, linguini with roasted eggplant and zucchini, baked rigatoni with béchamel sauce and Italian sausage, Sicilian-style whole wheat spaghetti with pan roasted cauliflower and almonds.